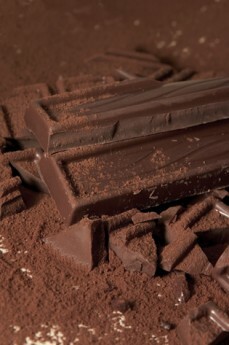 Fine chocolate is a new world of tasting and appreciation similar in complexity and nuance to the world of fine wine. Understanding this world requires an exploration of the tasting senses, an insight into the growing and sourcing of fine cacao, an understanding of the production process of fine chocolate and an awareness of the consumer market for fine chocolate. To help you reach these goals, our Slow Chocolate workshops will take you on a unique sensorial journey, providing you with the key profiling tools you need to taste and understand fine cacao and chocolate. Our workshops are available in set public sessions for both the developing connoisseur and individual professionals. We also offer private workshops for corporates or institutions. These are based around our sensory core modules, with our flexible programme allowing us to include optional modules, custom content or guest speakers to create programmes specifically tailored to your needs. Slow Chocolate is a flexible format that can work as a basic three hour introduction through to a full two day workshop including optional modules and specially designed content for a full exploration of the chocolate senses. Our format can also be tailored to work as part of a symposium or conference. Other events such as networking sessions, chocolate matching tastings or dinners can also be scheduled around the formal content. Our sensory modules form the core of our programme and give you the key tools you need to understand fine cacao and chocolate, giving you a true sense and understanding of ‘Chocolate Flavours’. We break up these modules into ‘bite-size’ experiential activities and games that we run throughout the workshops. These provide an engaging and stimulating structure that helps participants stay interested and focused throughout the sessions. 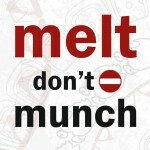 Our gastronomic senses are our most important tool for truly understanding and appreciating cacao and chocolate. Through a series of entertaining and engaging games, exercises and experiments, we will awaken your senses to the defining characteristics of cacao and chocolate and give you a fundamental understanding of flavour. Our unique flavour profiling system will help you to distinguish and understand the parameters of cacao and chocolate flavour throughout the production chain. You will be able to structure your chocolate experience with our flavour profile mapping, time based flavour curves and rating system. Our flexible format allows us to custom design each workshop to the needs of the participants needs. We can include a range of the subjects below, or develop content according to a client’s specific requirements. We can also include a client’s own content within our format, for example elements of a corporate training programme, or local speakers from research institutions. Fully understanding and appreciating chocolate flavour requires an understanding of the production of its key source ingredient, cacao. Equally, considering the final flavour of chocolate is a vital consideration to cacao producers wishing to sell into the fine chocolate market. We examine the effects of drying and fermentation, genetics, storage and transport on final flavour. Chocolate making is a combination of technical aspects, quality control, knowledge, creativity and – most importantly – taste. Learn the importance of each production stage and the impacts they have on flavour. The chocolate market is constantly changing and evolving as consumers become more interested in the source, quality, ethics and production of their food. The fine chocolate sector, whilst appearing small, has a disproportionate influence on the value and direction of the chocolate market. Understand how this marked is developing and changing with new trends. Presentation of chocolate products is key to their success in the market. Learn what consumers are looking for and persuaded by through a comparative analysis of chocolate marketing techniques and brand presentations. An examination into the importance of genetics and variety in chocolate flavour, including an overview of the latest genetic research and classification of varietals. New research is changing how we think about the traditional model of cacao varieties. In the recent past industrial priorities of production and disease resistance have taken precedence over flavour, origin and terroir. We look at how genetics and variety are becoming crucial for the long term survival of the fine cacao market. The history of chocolate is often romanticised through myth and storytelling. We separate fact from fiction and recount the evolution of this wild Amazonian fruit into a culturally prized foodstuff by the Aztec and Mayan. We then trace its industrial devaluation through to its present renaissance. Ancient history provides us with evidence that cacao can be health sustaining and medicinally beneficial. This value has been distorted and degraded through the industrial production of cacao into confectionery. Understand the essential elements that make cacao a nourishing food, and how the inclusion of fine chocolate can be a part of a healthy lifestyle. 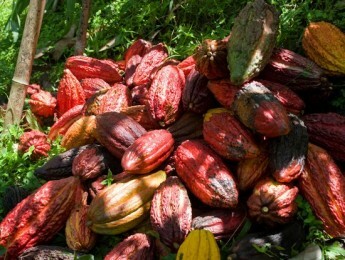 The work of cacao farmers reaches consumers through a long and complex chain of exporters, traders and financial brokers. Meanwhile, consumers are demanding greater transparency and integrity in the source of their chocolate ingredients. We look at how the cocoa market works in this changing climate where certifications such as Organic and Fair trade are increasingly important. Cacao has the potential to positively contribute to sustainable ecological agriculture methods and models. However cocoa is a worldwide commodity with constant pressure for increased production and reduced prices, which creates risks for the long term survival of the cacao industry. We explore the challenging issues facing the industry and identify the choices that need to be made for the economic viability of cocoa and its future. We also work with corporate or institutional clients to create custom and reusable modules specific to your needs.